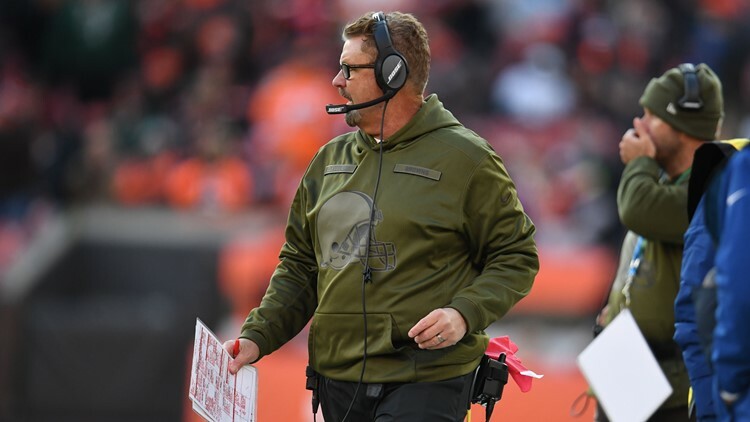 Reportedly, Gregg Williams is ‘under consideration’ for the New York Jets’ defensive coordinator job after being relieved of his coaching duties by the Cleveland Browns. CLEVELAND — Well, that did not take long. One day after being relieved of his coaching duties with the Cleveland Browns, well-travelled defensive coordinator Gregg Williams is reportedly “under consideration” to take over the defensive play-calling responsibilities for the New York Jets. ESPN’s Adam Schefter reported the news Thursday. Williams was the first candidate interviewed for the Browns’ opening, but after a nine-day search, the coaching committee went in a different direction by reportedly hiring interim offensive coordinator Freddie Kitchens. Fellow ESPN reporter Dan Graziano said it was the Browns’ decision to part ways with Williams. Cleveland Browns interim coach Gregg Williams reacts to a play in the second half against the Atlanta Falcons at FirstEnergy Stadium in Cleveland, Ohio, on November 11, 2018. The Browns will face the Jets at MetLife Stadium in East Rutherford, New Jersey during the 2019 regular season. Following his departure from the Browns, Williams released a statement thanking fans for their support during his tenure in Cleveland. “I want to personally reach out to all the Cleveland Browns fans and the people of Cleveland to say thank you for your support,” Williams said. “It has been an honor to coach this team and we loved living in this community with the finest, most passionate fans in the world. And just as he did with every play in training camp, Williams ended the statement with his favorite phrase.